Feed enzymes may be part of the alternative solutions to replace antibiotics as growth promoters in animal production. Their modes of action are complex and consist of direct and indirect effects, mediating the breakdown of non-starch polysaccharides (NSPs) within grains and oilseeds. NSPases assist in releasing encaged-nutrients but also decrease NSP average molecular weight and intrinsic viscosity and by consequence improve feed digestibility, optimizing the feed passage rate in the GIT. 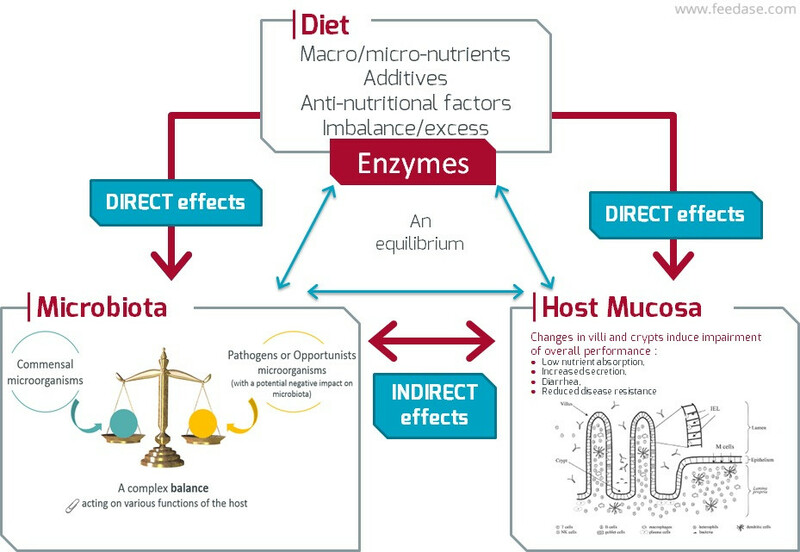 The short-chain polysaccharides and oligosaccharides produced by enzymatic degradation can result in prebiotic properties. A prebiotic is a selectively fermented non-digestible dietary ingredient that results in specific changes in the composition and/or activity of the gastrointestinal microbiota, thus conferring benefits upon host health. 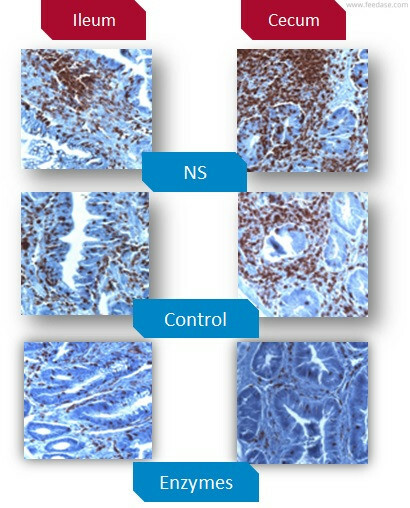 The advantage of NSP-degrading enzymes is that they allow the conversion of cereal-NSPs, considered to be anti-nutritional factors, to prebiotic-like components that steer the intestinal microbiota population towards one with a predominance of beneficial bacteria. The prebiotic effects of some of the oligosaccharides released by NSPases, including, arabinoxylans (AX), arabino-xylo-oligosaccharides and xylo-oligo-saccharides; have been studied (Yacoubi et al. 2017, Poultry Science). Some of these polysaccharides have been shown to enhance the production of short chain fatty acids (SCFA), particularly butyrate, by the gut microflora. These effects are dependent on the efficient degradation of the xylan backbone – to produce short-chain arabinoxylans. Arabinofuranosidases are debranching enzymes; they facilitate the enzymatic activity of Xylanase on AX, by removing the arabinose on the side chains. As a result, Xylanases have better access to the xylose backbone for hydrolysis. It is this synergistic effect of carbohydrase complex that improves the prebiotic action. 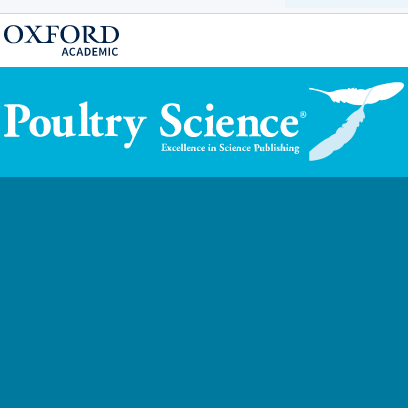 In the first two weeks of life broilers are particularly sensitive to NSPs, their digestive systems are not yet physiologically mature, and their microflora not fully established. Their immune system is activated and the gut wall becomes inflamed – reducing nutrient absorption and increasing the risk of infection. The gastrointestinal tract (GIT) of all animals is a key site in the prevention of infection. SCFAs are known to have a positive impact on broiler digestive health, including stimulation of digestive enzyme production, enhanced development of intestinal villi, reduction of acute inflammatory responses and optimized GIT retention time. SCFAs, butyrate in particular, is an important energy source for cells of the colon. It has recently been shown to enhance synthesis of endogenous antimicrobial host defense peptides, which are critical components of the animal’s innate immunity. In order to characterise NSP fractions in wheat following treatment, wheat was incubated both with and without a carbohydrase complex (Rovabio®, Adisseo). The water-soluble fractions were then isolated using an extraction procedure. These were further fractionated into ethanol-soluble and ethanol-insoluble fractions. In terms of chemical composition, both fractions contained mainly xylose and arabinose; with the enzyme treated fraction containing significantly more protein (Table 1). It is thought that a more complete breakdown of NSP results in increased nutrient availability and reduced ‘cage effect’. Importantly, the average degree of polymerization of the xylan backbone was significantly lower in the enzyme treated wheat; the molecular weight and intrinsic viscosity were also reduced. The enzymes thus reduced the size of the polymers present in wheat and produced short-chain arabinoxylans. To evaluate the effect of the enzyme treatment on the gut health of broilers, a pen study was carried out. Day-old broiler chicks were fed one of three diets for 14 days and performance measured. Diets containing the enzyme treated wheat fraction (Rovabio), the untreated fraction (Positive Control) and a non-supplemented diet (Negative Control), were fed. Feeding the enzyme treated fraction increased both body weight and feed intake, with FCR unaffected by treatment (Figure 1). The mucosa of the ileum and cecum in birds fed the enzyme treated fraction were shown to have less T-cells, than in those fed the negative and positive control diets. This implies that the effects of the enzyme treatment on the gut microflora and SCFA production resulted in less inflammation of the mucosa. This effect was echoed in the level of T-cell infiltration, which was significantly lower in birds fed the enzyme treated wheat fraction (Figure 2). This further suggests that these birds had better gut integrity and hence a stronger intestinal barrier. An assessment of the ileal microbiota revealed that in those birds fed the enzyme treated wheat fraction there were significantly greater numbers of Enterococcaceae and Clostridiaceae species of bacteria. It also showed an increase of Enterocuccus durans, which has a probiotic effect as well as antimicrobial and antioxidant activities and Candidatus arthromitus whch is a commensal bacterium, helping to develop gut immune functions. In the cecum more Lachnospiraceae and Ruminococcaceae bacteria were found (Figure 3). These bacterial species are able to metabolize poly- and oligosaccharides into SCFA. This effect was confirmed by a significant increase in acetate and butyrate production in the cecum of birds fed the enzyme treated wheat (Figure 4.). It was concluded that the enzyme treated wheat fraction provided more substrate for beneficial gut bacteria. They in turn produced more SCFA enhancing the function of the epithelial cells. The researchers also hypothesized that a butyrate-associated reduction in inflammation, may have contributed to the increase in feed intake – effects that together improved weight gain.